Defendants who are charged with most crimes have a right to a preliminary hearing. This hearing takes place after the defendant has been arraigned (entered a plea) and after bail has been set. 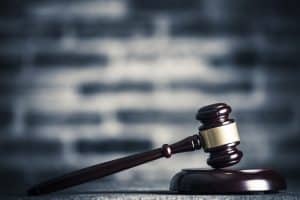 There are some procedural differences between federal and state preliminary hearings, but the basic strategies criminal defense lawyers use are the same in both types of courts. In most cases, the defendant does not testify at the preliminary hearing unless there is a clear defense such as an airtight alibi. The purpose of the hearing is for the assigned judge or magistrate to decide if there is probable cause to submit the criminal case for trial. The usual process is for the prosecution to present its case. It typically only presents enough evidence to convince the judge/magistrate that there is probable cause to believe a crime was committed by the defendant. The prosecutor doesn’t need to have all its witnesses testify – just one or two witnesses is usually enough. The lawyer wants to discover what evidence the prosecution has – how strong its case is. The defense lawyer wants to determine whether there may be grounds to file a motion to suppress evidence. The defense attorney tries to discover what arguments can be made to negotiate a plea bargain agreement with the prosecutor. The type of case the prosecution has may affect renewed requests to reduce the amount of bail/bond or to release the defendant from jail while the case is proceeding. To put the witnesses on record. If the testimony is recorded, then any changes in the testimony of the witnesses can be attacked on the grounds the change is inconsistent (not credible) with prior testimony. If the prosecution does not present enough evidence to convince the judge that there is probable cause, the case should be dismissed. A dismissal at the preliminary hearing is typically not considered double jeopardy. The government can usually refile the charges if it obtains better evidence. Aggressive advocacy is required at each stage of the criminal court process. The earlier a flaw in the prosecution’s case can be exposed, the more likely it is that a defense lawyer can use that leverage to negotiate a plea bargain or to force a dismissal. The delay between the preliminary hearing and the trial can be months so if there is any opportunity to dismiss a case at the preliminary hearing, it can save a defendant a great amount of worry. If you were charged with any criminal offense, please phone the Law Offices of Adrian H. Altshuler & Associates, at 615.412.1121, or fill out our contact form to make an appointment. Our Tennessee defense lawyers will guide you through each phase of the criminal case. We represent defendants in Franklin, Columbia, Brentwood or nearby locations.